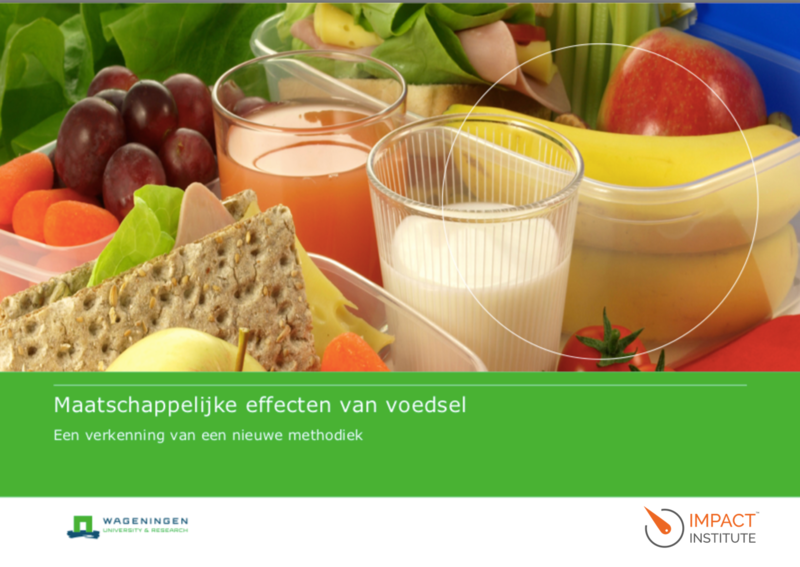 Commissioned by the Dutch Ministry of Economic Affairs, the Impact Institute* and Wageningen Economic Research have developed an approach where positive and negative societal effects of the production and consumption of food can be monitored. The goal is to ultimately provide businesses and consumers with more possibilities to take decisions which will result in contributing to a more sustainable food chain. Read the letter of the State Secretary of Economic Affairs Martijn van Dam here. The new approach has been applied to five food products. Potatoes, fresh green beans, whole milk, minced beef from the dairy farm and pure chocolate. Examples of positive effects of food are: more employment, higher salaries, knowledge building and increased health. Negative effects are e.g. climate change, water pollution, biodiversity, child labor and underpayment. The results of the study show e.g. that milk scores relatively positive on health but negative on quality. Green beans score relatively positive on consumer health and have limited effects on water quality. A disadvantage of green beans is that cultivation requires a lot of land and that in comparison to the average food product a lot of fertilizer is needed. This results in greenhouse gas emissions and a decline of biodiversity. Wageningen Economic Research and the Impact Institute will further apply the method on more food products in the near future. The results of the negative and positive impacts of the average food product are displayed in figure 1. This systematic approach is universal and can be applied to all food products. The methodology does not give absolute outcomes to whether something is good or bad, but rather shows relative scores compared to average effects of food. The most material positive and negative impacts in the supply chain of a product are mapped. Material impacts are those impacts that have a considerable (potential) effect on society. The analysis results in a compilation of impact ‘hotspots’, categorized into financial, manufactured, intellectual, natural, social and human impacts for each step in the supply chain. This is in line with the recommendations of the ‘International Integrated Reporting Council’. Read the full report of the Impact Institute and WUR here.